ICE HOTEL - Sweden — ANSO. The original ICEHOTEL, Sweden, was founded in 1989. It’s an art exhibition and hotel made of natural ice and snow from one of Europe’s last wild rivers, 200 km north of the Arctic Circle. Nature is an intrinsic part of everything that ICEHOTEL is and what they do. It is an inspirational playground and the source of our building material. The walls, floors and ceilings of the hotel is a canvas of designers from all creative disciplines. The artists and art work vary from year to year, each rendition of the hotel presenting an ephemeral collection. The hotel melts and returns to Mother Nature in spring. ICEHOTEL has between 50,000 and 60,000 visitors every year, counting day visitors and overnight visitors and more than 100 wedding ceremonies are held every year. The hotel covers a 5,500 square meters area, about 30,000 m3 of snice (snow and ice) and about 1,000 tonnes of ice are used to build it. 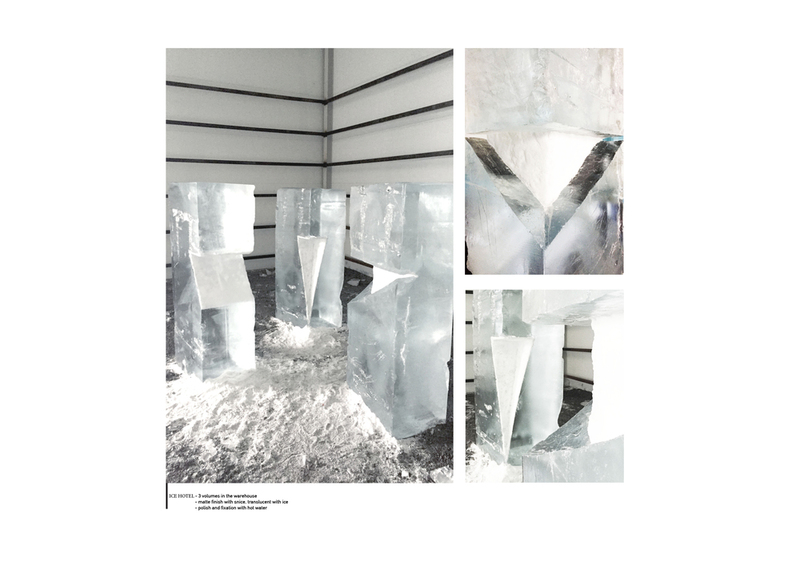 In Mars 2015, the Ice Hotel invited Interior Design students of the Royal College of Art to take part in a workshop, this was focused on designing elements for the next Ice bar 2016. 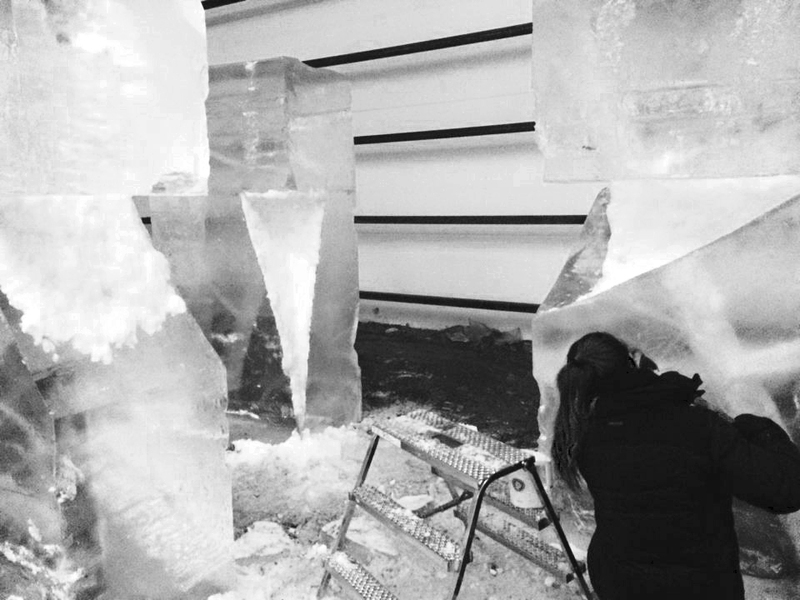 After being familiar with tools and techniques to form ice, we sculpt 3 tonnes of ice blocks. 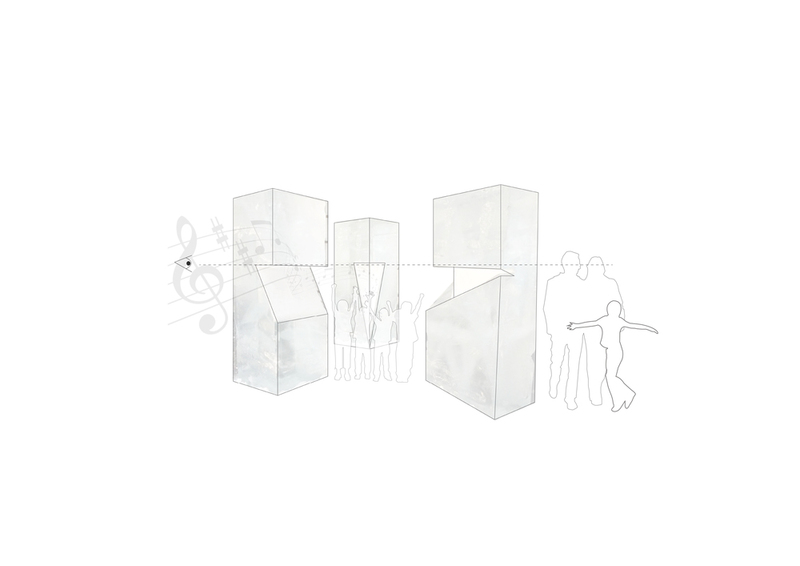 We decided to challenge those volumes by playing with the fragility and balance. The concept of the design was a continuous cut at eye level which create the narrative of a horizon across the 3 pieces. By slicing and cutting from the existing layers, flows and cracks of the blocks we were guided by that frozen nature trapped in it, our goal was to emphasise that beauty.